In a remarkable volte-face typical of Ramkalawan, he tried this week to distance himself from the Agreement whilst at the same time maintaining that “the Agreement will be ratified”. Under pressure from the Seychellois public, the powers that be are slowly releasing the contents of the military deal between the Seychelles and Indian Governments. The facts revealed greatly contradict the explanations given by Ramkalawan to the Indian media during his visit to his ancestral home of Bihar two months ago. Ramkalawan claimed then that India intends to build a military outpost for the Seychelles coastguard to patrol the seas of the Southern Indian Ocean against piracy and drug and human trafficking. At a cost of 500 million USD, this will surely be the most expensive outpost in the world! The fact of the matter is that India has already embarked on the construction of a state of the art naval and military base on the virgin island of Assumption, neighbor to a world heritage site; Aldabra. Time on Assumption has already been changed to Indian time. All these are illegal activities given that the Agreement has not yet been ratified by the National Assembly as is required by the Constitution. According to intelligent sources both in India and Seychelles, the base will eventually host more than 1000 Indian military personnel with their families in a concept known as cantonments. The total population of the island will therefore exceed 4000 Indian nationals. The environmental and health impact have not yet been assessed and it is believed that the construction of all infrastructures necessary to support such a big military base will have devastating effects on the island and the immediate environment including the atoll of Aldabra, home to over 200 thousands giant tortoises, and endemic species, a mere 20 miles away. The whole world knows that India must have paid heftily to have access to Assumption for an initial period of 20 years in his bid to outdo the Chinese in their geopolitical war in the Indian Ocean and that India intends to deploy submarines, aircraft carriers, fighter jets amongst other sophisticated weaponry there. And yet the Attorney General of Seychelles, Mr. Franky Ally, maintained that all operations will be under the control of the Seychelles Coast Guard; the joke of the century given that the Coast Guard can barely manage its existing assets comprising of five small coastal boats and 200 men. A bigger question that begs itself is will India destroy that expensive military base in 20 years time? What if Seychelles decide to ask them to leave and they refuse? Do we have the capacity to force them to? For all intents and purposes, Assumption is now de facto Indian Territory. The deal is obviously bizarre and murky and all indications are that it is also corrupt. 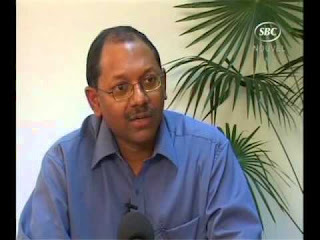 Why would Ramkalawan insist that the deal be ratified despite mounting opposition from the majority of the population? Is it true that certain individuals have been given big money by the Indian Government to ensure that the deal goes through? Why should India invest 500 million dollars in a military base to prevent drugs from entering Seychelles when India itself has a massive drug problem and rampant poverty? We are of the opinion that Assumption has been sold by some greedy politicians. This being the case, then the whole deal amounts to treason. Let it be known that we shall never respect that Agreement. India will hand us back Assumption and those “kin pran gous ek malbar, demerd zot’”. People of Seychelles; let us rise against the annexation of one of our island. Shame on Ramkalawan for giving the green light for the deal to go through and shame on you all those who have decided to go along with it.